Rated 1 out of 5 by Nonya from Good luck putting it on! Good luck putting it on! I have very slim feet but this one is a nightmare to put on and even worse to take off! 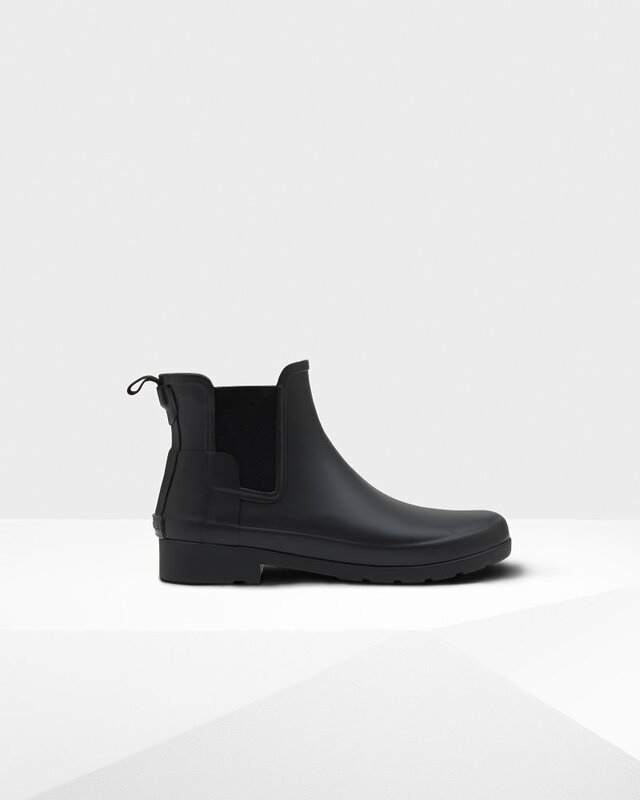 I wanted shoes to keep in the boot in case of rain but I regret going with this brand. You can buy beautiful wellies on the high street at much cheaper price. I wouldn’t normally mind a higher price but these are simply unfit for purpose and will give your ankles brush burns! Rated 5 out of 5 by Hermione from Merci Hunter! Very happy with this purchase. Very comfortable but buy 1 size above yours. I am a size 7 and purchased a size 8. Rated 5 out of 5 by Mafalda from Perfect size, super confortable So confortable!! It’s a bigger size than the one I usually use. Rated 3 out of 5 by Kimberley from Ok, but not worth £100. Not worth full price. I understand you pay for the hunter label. I paid £50 However, for £100 they are not very comfty and are slightly tighter than expected for my shoe size with a thin sock on. It was quite nice to get them off after my walk. The plus is they are very hardwearing and protect from the weather and slipping etc. Rated 5 out of 5 by Mary from Refined Slim Fit Chelsea Boots I absolutely love these boots. They’re super comfortable and really stylish.